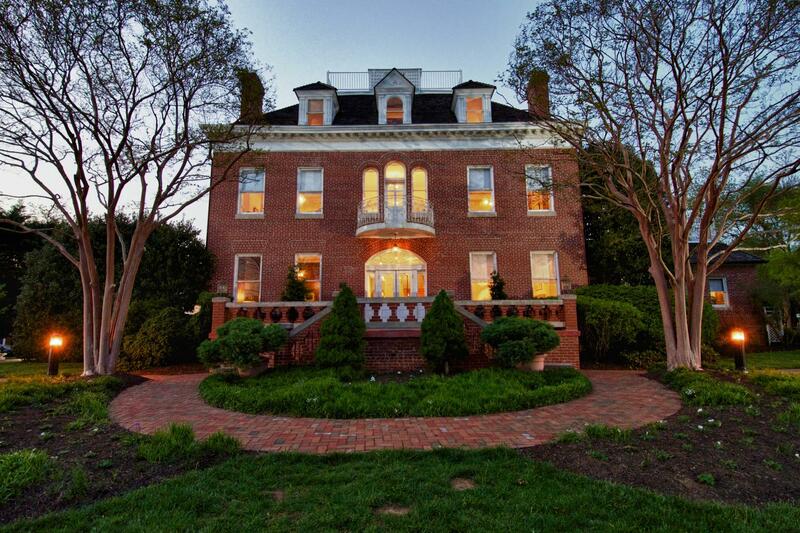 Rent Kentlands Mansion | Corporate Events | Wedding Locations, Event Spaces and Party Venues. The Kentland’s Mansion, built in early 1900 provides the perfect setting for weddings, receptions and other special events. The Mansion features a graceful staircase, mahogany paneled rooms, crystal chandeliers, hand-carved modeling, and 22-foot ceilings. The Mansion can accommodate up to 150 guests depending on the time of year and set up desired. Our inside space allows for 110 seated guests. Also serving as an exhibition gallery, the Mansion proudly showcases the work of our region’s most accomplished artists. Rotating exhibits are displayed on the first and second floor featuring many types of art. The Georgian-styled Mansion sits on a beautifully manicured lawn with captivating floral side garden. This enchanting view provides an unforgettable, intimate setting that perfectly compliments your event. Let the elegance and charm of Kentland’s Mansion create an event to remember for a lifetime!